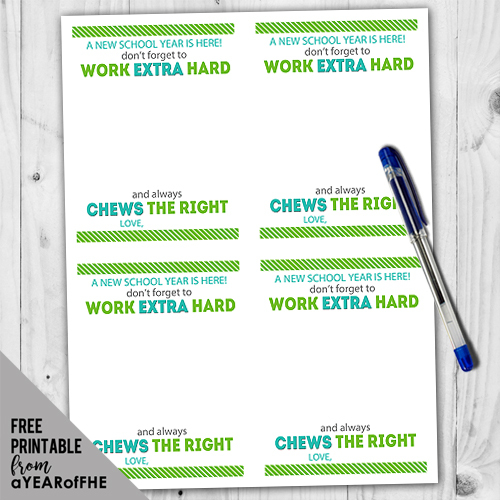 A Year of FHE: Back to School LDS Gum Handouts for Your own Kids or Youth, Activity Days, YM/YW! 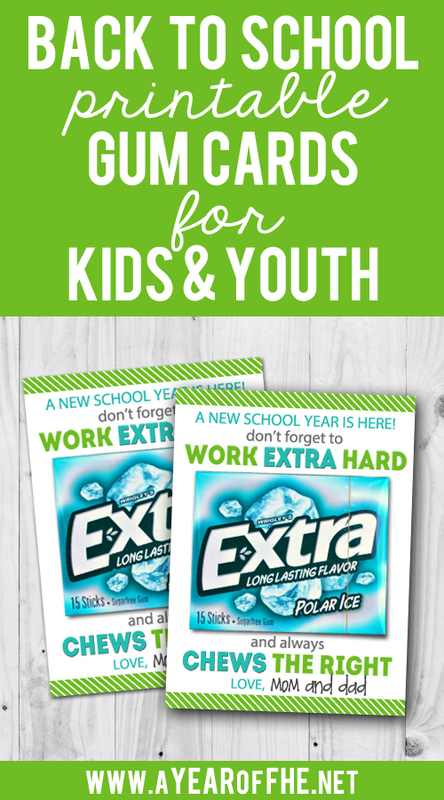 Back to School LDS Gum Handouts for Your own Kids or Youth, Activity Days, YM/YW! If my un-official Instagram assessment is correct, pretty much all U.S. schools are back in session. A new school year prompts a reminder of standards, goals, and fresh starts! Each year I like to slip a little prize pack into my kids backpacks the night before the first day of school. There is always a little treat and a note of encouragement from mom and dad. Even if school has already started for you it's not too late to slip these cute printable cards into your kids backpacks or make them for your Seminary Class, Activity Days Girls, or Young Men and Young Women! Simply print these onto card stock (they print 4 to a page), trim the edges, and sign the bottom. You can use "Mom and Dad" or "Sister Ahern" or "The YW Presidency" etc. Use double-stick tape (or hot glue) to adhere a pack of Extra gum to the middle of the card and hide it in their backpack for a fun and meaningful surprise! 8 Ways to Make Seminary Great! Beautiful. Thank you for the freebie!